Some of the most valuable and historically significant pieces are hidden out of view in the American Museum of Natural History’s permanent collection, which can only ever display a fraction of its vast archive. Document gets an exclusive look at some of the curators’ most coveted items. 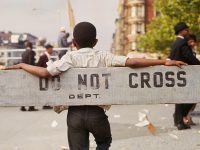 Who doesn’t remember the first time stepping past a museum’s doors as a child—the overwhelming awe of things to see and things to explore. A museum is a treasure trove of hidden gems. And the American Museum of Natural History is one of the world’s largest, dedicated to the natural world’s and humanity’s past, present, and future. Founded in 1896, the museum now holds over 33 million specimens and artifacts in its 45 permanent exhibition halls as well as in its archives. More than just a museum, the institution is a scientific research facility with 200 active researchers, as well as a teaching facility where masters and Ph.D. students conduct their research under the supervision of the museum’s curators. The museum’s anthropology division is split between archaeology, ethnology, and biological anthropology, and has amassed over 535,700 specimens alone—and they are continuously collecting. But only 2.8 percent of the objects are ever on display in the museum’s eight anthropology halls at any one time. The rest of the objects are held in climate-controlled storage cases, only to be brought out for special occasions and exhibitions. 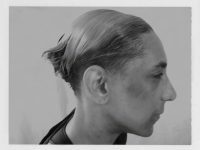 In an exclusive portfolio for Document, the museum’s anthropology curators have selected some of their favorite— and historically significant pieces—not on view to the public. 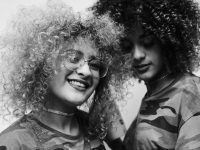 This portfolio first appeared in Document’s Spring/Summer 2015 issue. Shuar Tribe ear Ornaments, The Amazon, Acquired 1930s. and festivals, these ear ornaments came to the museum in the 30s as a part of a large donation from one of the first outsiders to spend time with the indigenous peoples in the Amazon region. 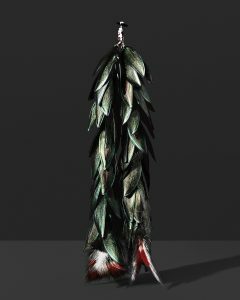 Made of delicate and iridescent beetle wing covers and toucan feathers, they were worn to accompany colorful headdresses and necklaces, testaments to the Shuar’s incredible craftsmanship. 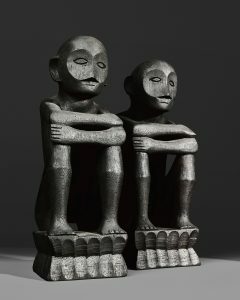 Bulul Statues, The Philippines, Acquired 1960s. These wooden figures, or bulul, are protectors of the rice terraces of the Ifugao people in the mountains of the island, Luzon. The Ifugao believe the idols protect their crops from harm and promise a good harvest. Bulul come in pairs—male and female—and are passed down through generations to look over the coming years’ food supplies. BaBouche Slippers, Morocco, Acquired 2014. 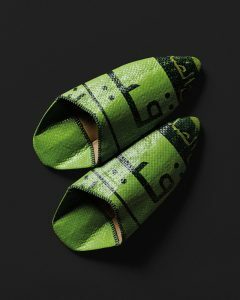 These babouche slippers were handmade in Marrakesh, Morocco from recycled woven food bags. Even in developing countries, sustainability is on the local consciousness. And as important as it is to rediscover the past, it’s vital for the museum’s continuing journey to document the present and future. Tarahumara mask, Mexico, Acquired 1891. This mask was collected on the very first expedition by the museum’s anthropology division. Found in the Sierra Madre Occidental mountains in Mexico, it was worn by the Tarahumara natives in ceremonies to celebrate the Feast of the Epiphany. 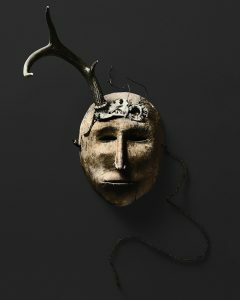 Blending traditional beliefs with new Christian doctrine brought by Spanish Jesuits, the mask was worn to ensure a bountiful hunt. Potlarch Feast Dish, British Columbia, Acquired 1901. On northern Vancouver Island in the Pacific Northwest of North America, the Kwakwaka’wakw people maintain a close relationship with the animals that surround them which perhaps explains why the bowl depicts the blending of human life with animal; for the Kwakwaka’wakw, there is no distinction between the two worlds. 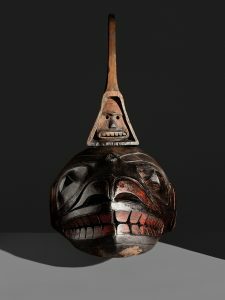 Used for a potlatch, a gift- giving feast, the dish is carved into the shape of an orca and a heroic ancestor, Siwidi, who journeys to the undersea world. Pueblo Frog, New Mexico, Acquired 1897. On a Museum- led excavation to New Mexico’s Chaco Canyon, this frog figurine was found in an ancestral Pueblo settlement. 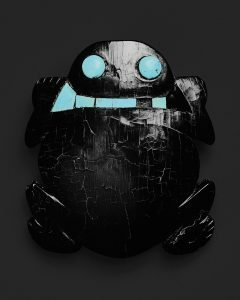 A symbol of water for the Pueblo people, the 1000- year-old frog is made of jet and turquoise. Soon after it was found it was stolen and rediscovered at a local trading post where it was purchased for $50. It is now one of the museum’s most precious objects. Mandarin Robe, China, Acquired 1901. “Coat of a Mandarin, for the summer,” read the note that accompanied this robe when it was sent to the museum in 1901, purchased in Shanghai. 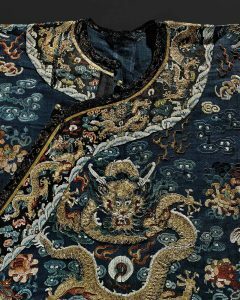 The dragon was the ultimate symbol of the Emperor’s power worn by the Imperial Court, and this robe is believed to have been worn by a scholar-advisor during the Qing Dynasty (1644-1911). Within a few years of the museum’s acquisition, fakes of the robe could be found all over the market— seems like the times haven’t changed one bit.